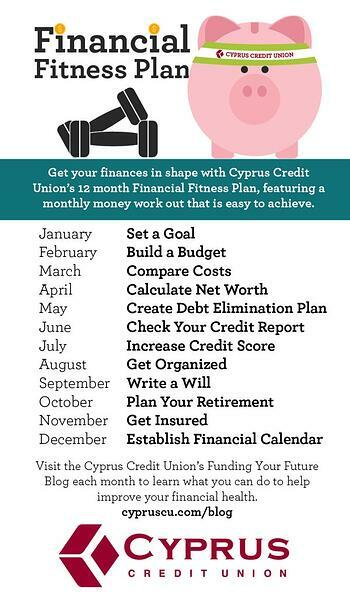 Get your finances in shape in the new year with Cyprus Credit Union’s 12 month Financial Fitness Plan, featuring a monthly money work out that is easy to achieve. Starting next week, we will be posting a goal for you to work on every month as well as the steps to help get you there. By focusing on only one goal a month, you are more likely to achieve success. Check back each month for a new goal.